First would be to tenderize these pieces of meat in some aromatic broth. A simple one from water, vinegar, some black peppercorns, and a few pieces of bay leaf would be fine. 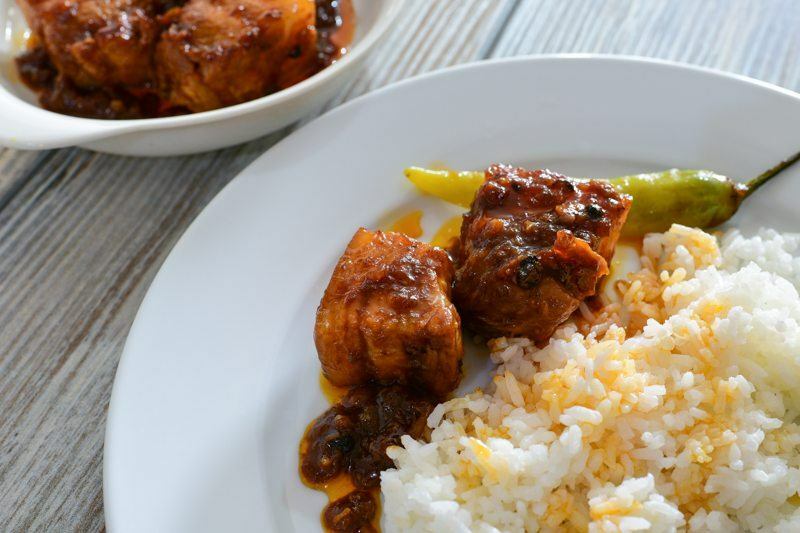 These will need around 40 minutes to an hour of simmering to get tender enough. You'll want to get just enough water so you'll end up with a good amount of concentrated stock which we'll use as a base for the sauce in the end. Adding in too much water would dilute that stock into something less flavorful. 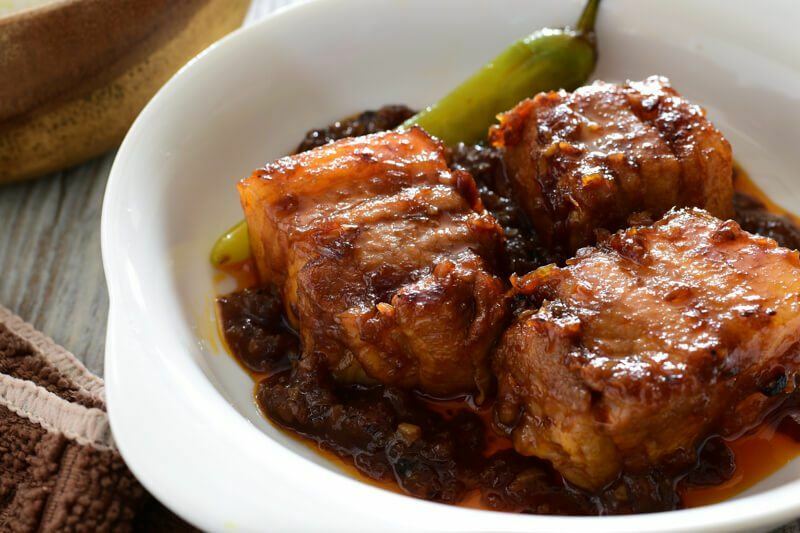 When the pork is tender enough, set it aside for the meantime as we work on our sauce. 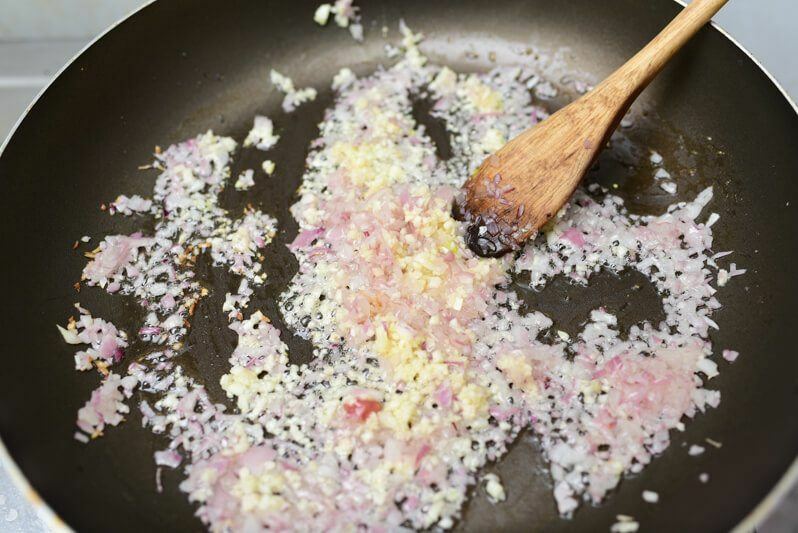 We'll sautee some aromatics – shallots and garlic just until those shallots caramelize and soften up a bit. 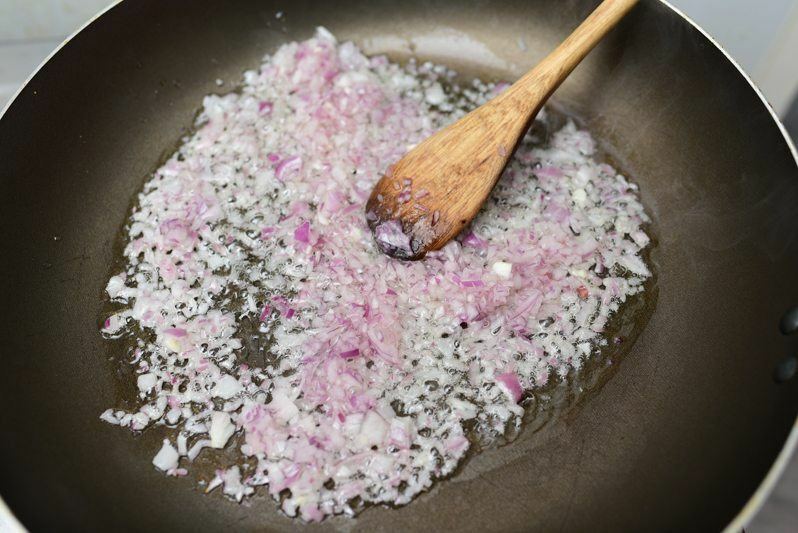 It would be best to get the shallots in the pan first, getting a minute or two of lead time so the garlic doesn't burn as soon as it goes into the pan. We'll be adding some tomato puree to provide body and vibrance to the sauce. 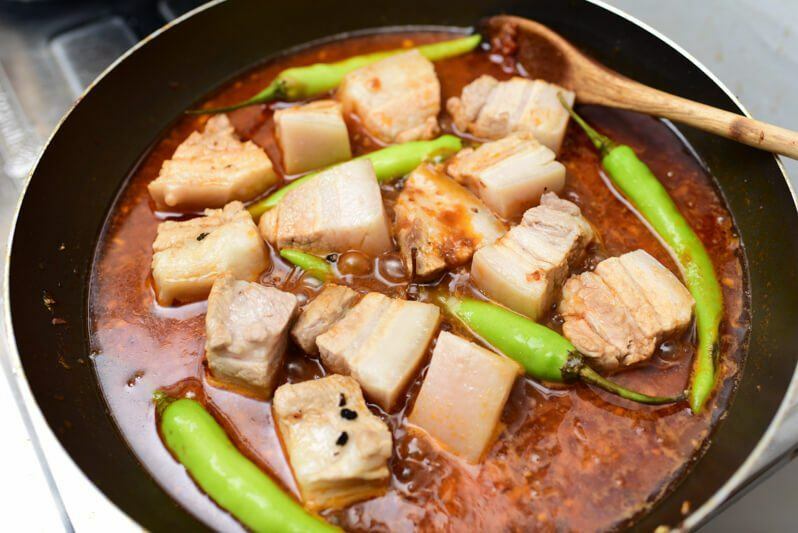 Just be sure to roast it well enough(about a minute), to intensify that red color and to cut down much of its acidic flavor which this dish doesn't need. 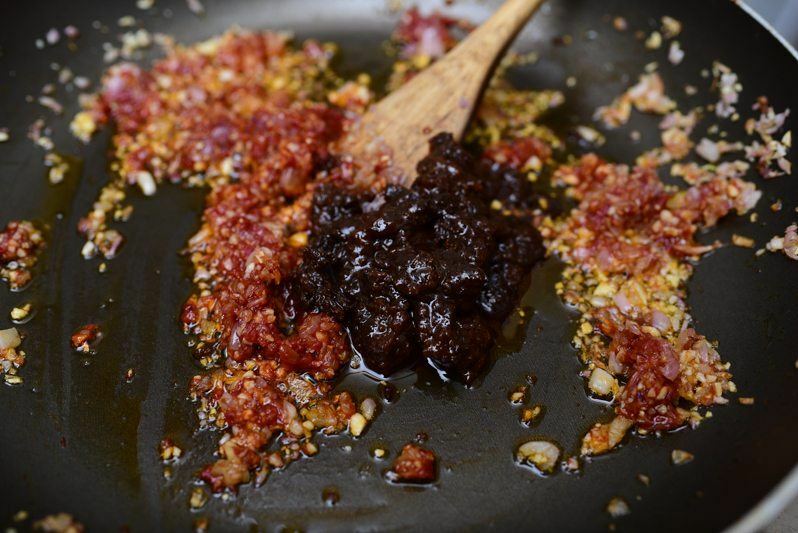 When the tomato paste has roasted well enough, it's time to get the shrimp paste in. 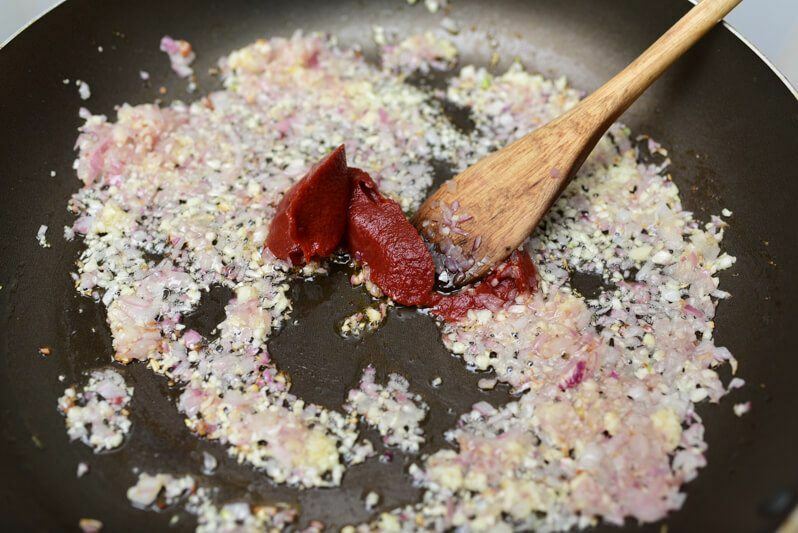 A minute or so of sauteeing would be enough for cooked varieties of shrimp paste. Raw preparations will however need about five minutes. Now we're ready to add the pork into the pan. If you've reduced your stock enough, everything goes into the pan. 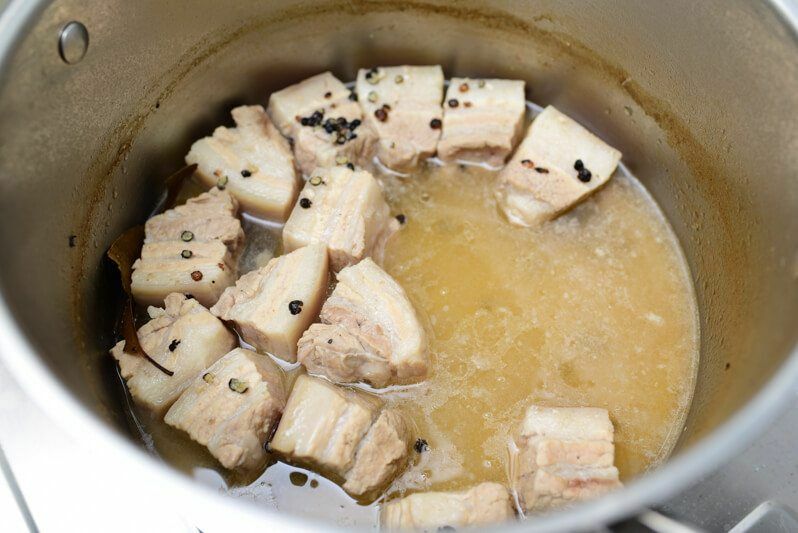 There'll be lots of pork flavor in that stock which we wouldn't want to waste any drop of. The banana peppers go into this pan as well. Unlike most other chili peppers, these provide much more flavor and aroma without much heat. They're basically like elongated and slightly spicier capsicums. Get everything into a final simmer until the sauce has reduced considerably. 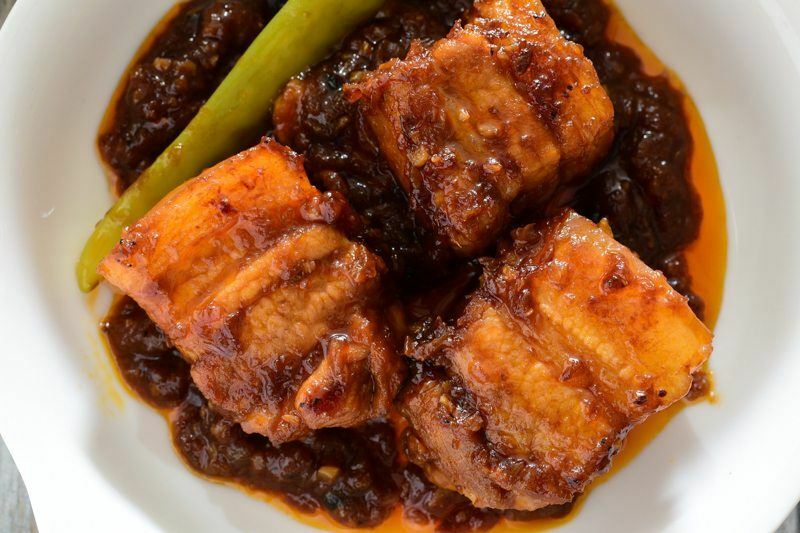 What you'll want to end up with is a very thick sauce of mostly shrimp paste. 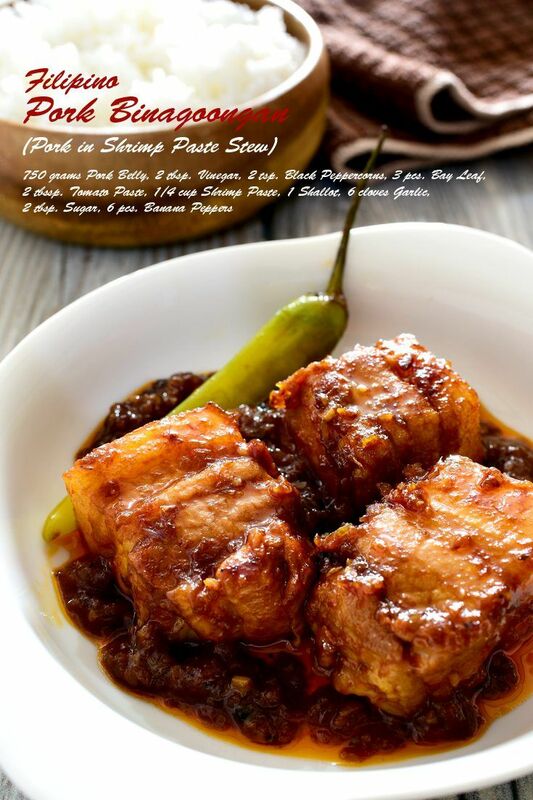 The dish will be a bit sour and salty from the vinegar and shrimp paste that we've put in. A touch of sugar would balance everything out.